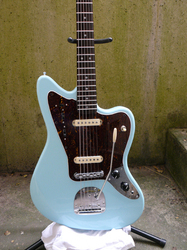 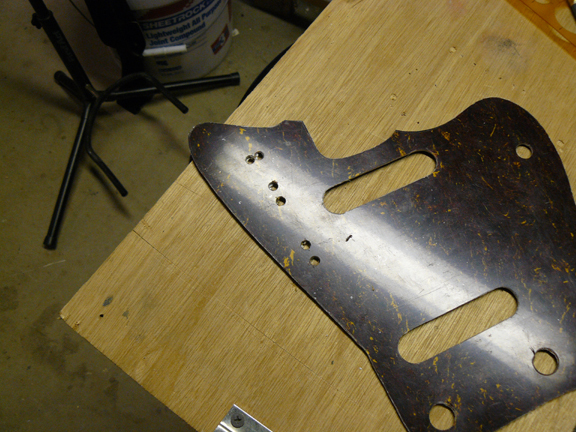 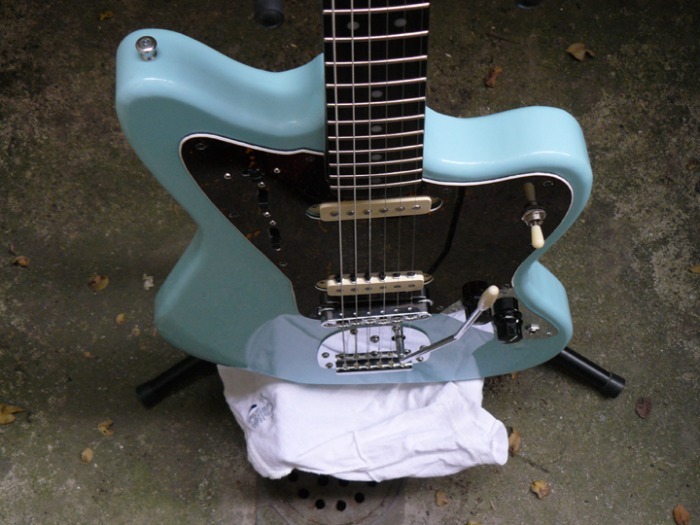 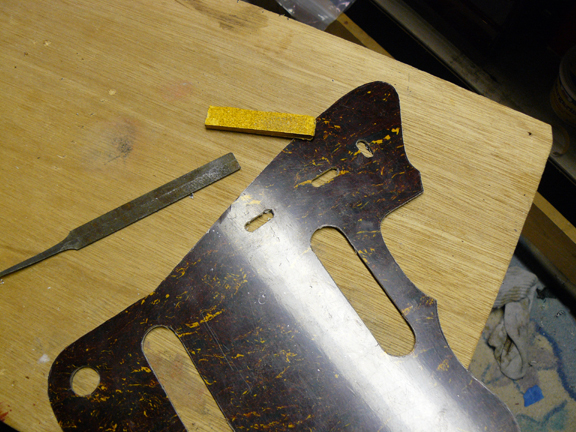 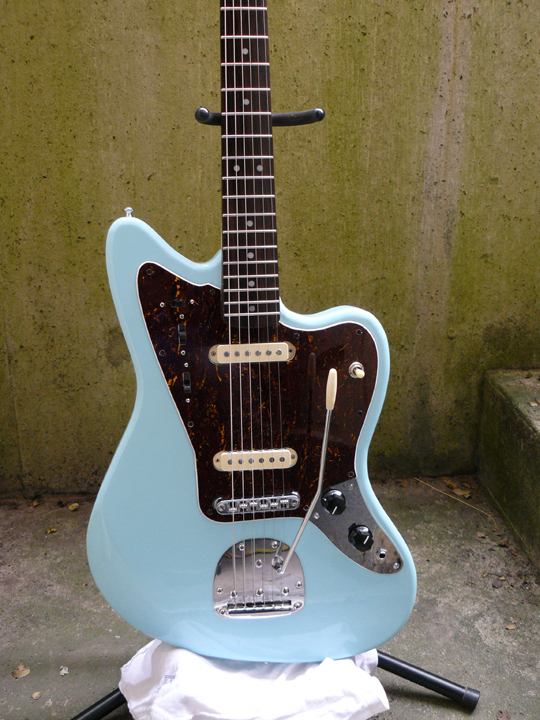 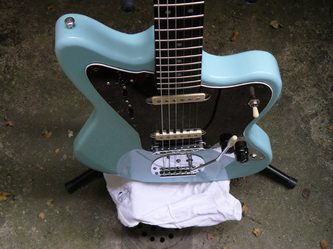 This is a scratch body Jazzmaster build that was heavily chambered. 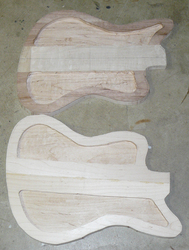 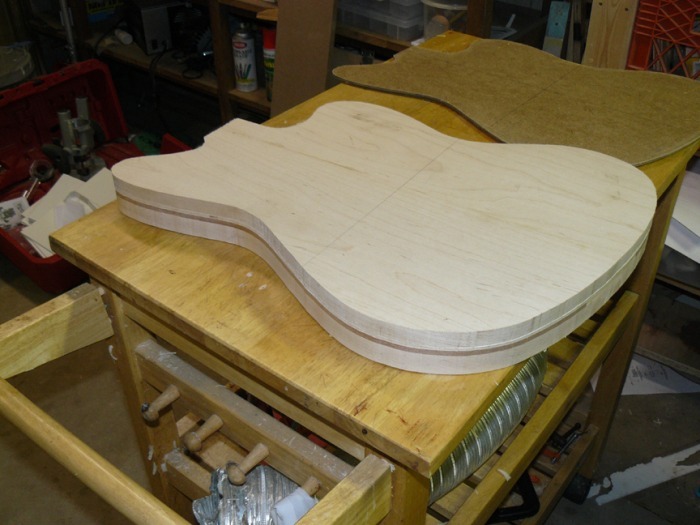 The body is maple construction with a mahogany edge. 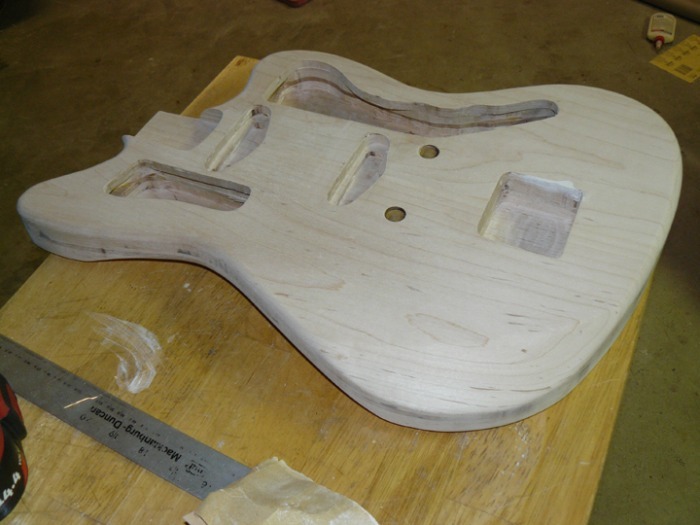 The neck is a CBS clone. 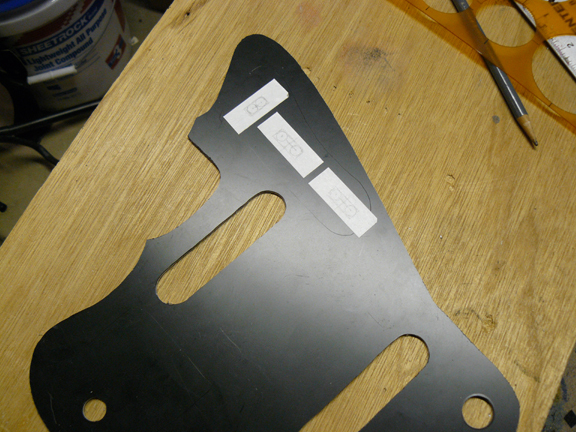 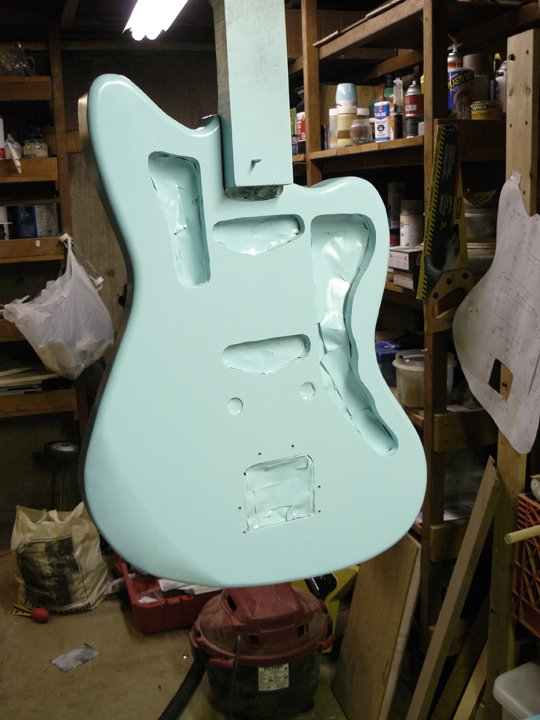 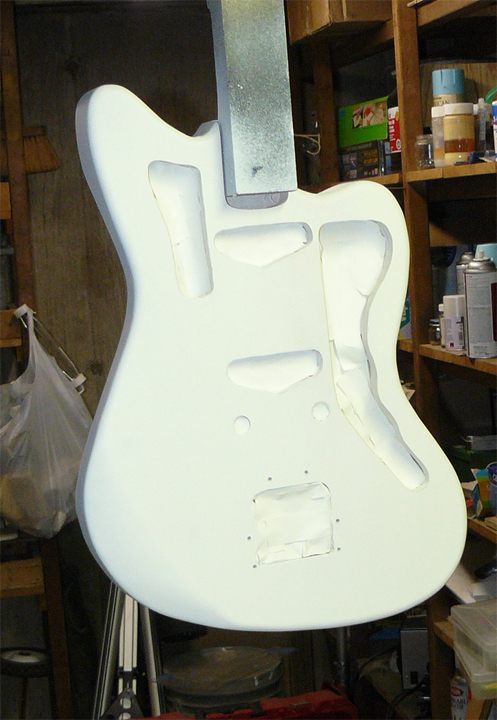 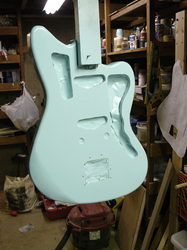 The pickups are surface mounted into the cavities. 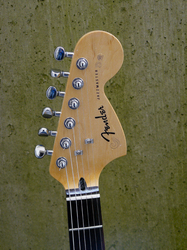 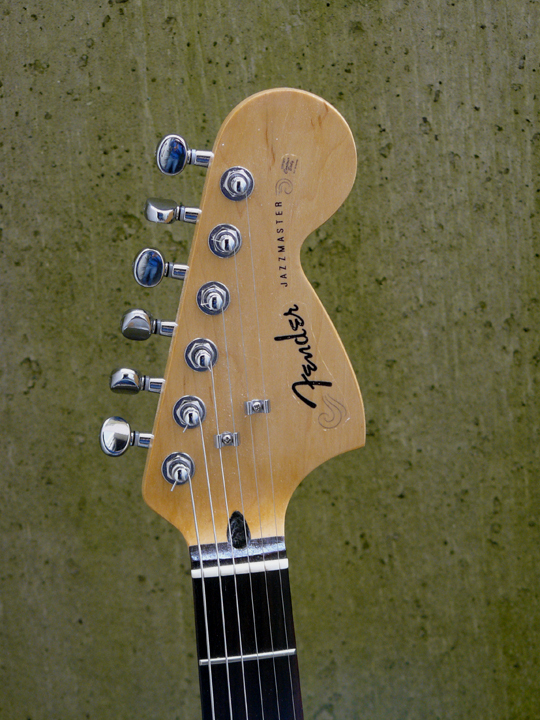 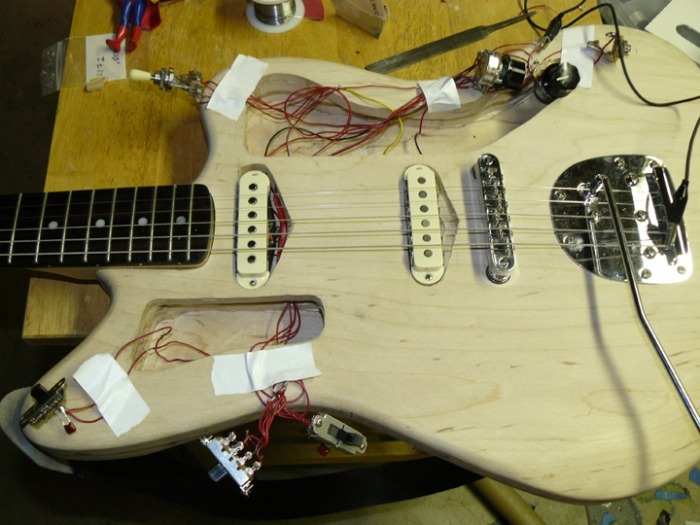 The neck pickup is a handwound strat, the bridge a Jaguar. 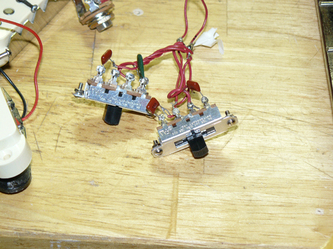 The electronics are a varitone switch combo with a on/off high pass filter cap to allow for true bypass. 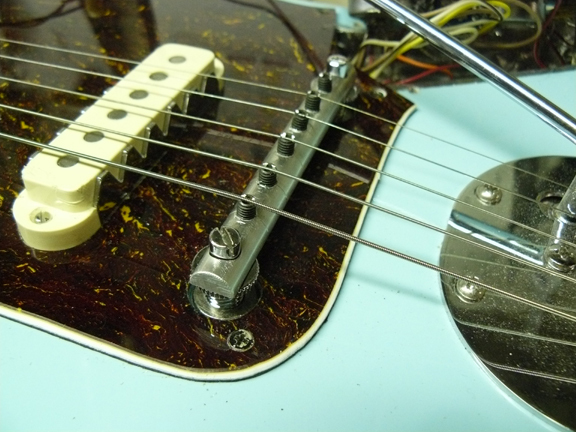 didn't like the stock bridge on it before so changed it our for my jangle. Aluminum bar fitted with hardened steel allen set screws.